1. I only recommend products as an affiliate that I’m extremely very familiar with—preferably products that I’ve used before and have helped me achieve something. If I’m not confident in the product and I don’t feel it will positively help people, I will not promote it. While this seems like a good simple summary of what it takes to make affiliate marketing work, there’s a lot to learn before you start seeing results. Our mission is to break down the process and give you food for thought so that you can quickly start implementing affiliate marketing as a source of monetization for your content as a blogger or influencer. We want to make affiliate marketing accessible for beginners as well as old hands, especially for those who don’t blog about blogging. Affiliate marketing isn’t only for bloggers teaching others how to create passive income online by promoting blogging or financial tools. It can also be great for travel, fashion, beauty, DIY, food, and entertainment bloggers and influencers. 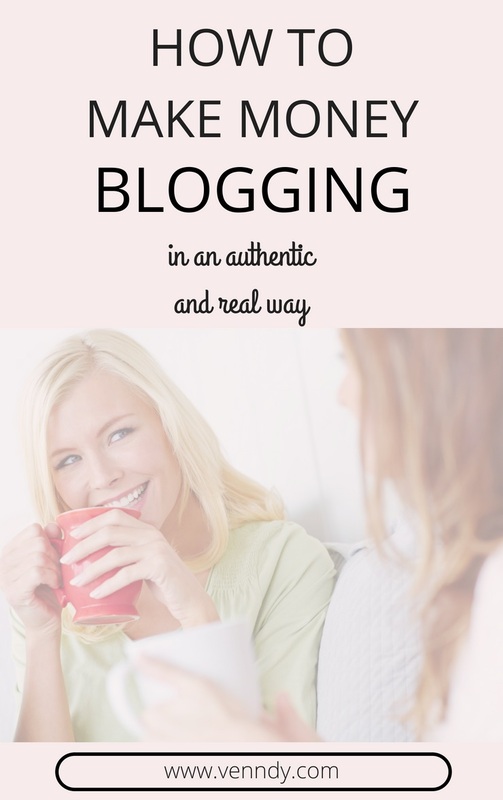 It can also be great for moms, family caretakers, or stay-at-home moms who want to blog, with or without a website, in order to share their knowledge and experiences from their everyday. It is not only easier than going after and producing sponsored posts, but when done right, it is also better for building trust with your audience. Once you start and improve, you’ll see it’s not that difficult. What makes affiliate marketing work? 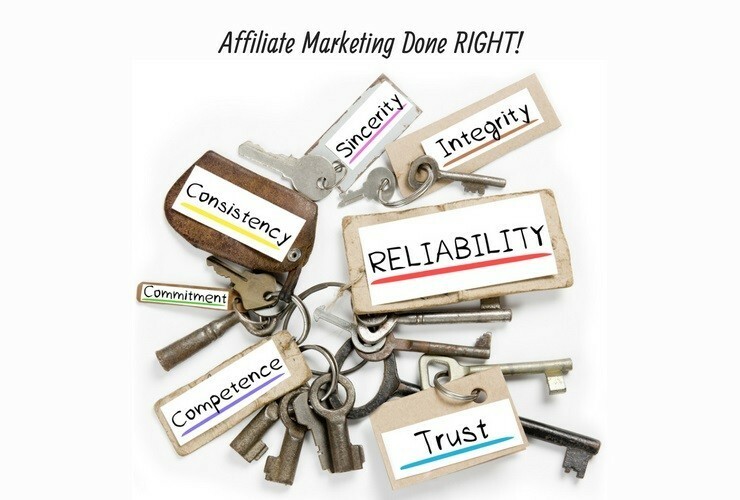 Affiliate marketing has a lot to do with building credibility and trust. Trust requires authenticity, building relationships, and, primarily, time and patience. In our hyperconnected world truth is the best marketing strategy for building trust. Trust leads to strong relationships, which increase engagements, which, in turn, improve conversion and help you monetize your content. There are two kind of products you can promote: those you really believe in and have used yourself, and those you either have knowledge about or get knowledge about by researching, experimenting, and documenting your experience. Once you have chosen the products which answer these criteria, there are various ways to create the kind of connections which build trust. Following are some ideas to help you out. Helping others is a crucial part of any monetization model; it is only fair that influencers are compensated for their creative content that helps others make better, easier, and more personalized choices. When content about products is optimized to match readers’ interests and preferences, your conversions and commissions can grow dramatically. How to help others as an affiliate? Make it easy for them to find products you recommend and to click, save for later, and shop. Think about how your content can help them grow and improve in whatever your niche is. Don’t sell – recommend. Your feed shouldn’t look like an endless commercial. You can also promote affiliate links on social media without looking too salesy. Don’t convince – highlight the pros and cons and explain what’s in it for them. Don’t push – just present the options. Don’t make it up – rely on facts. If you know what might be helpful for your audience, you can create value by making it easier for them to find something, to make better decisions, to save time or money and at the same time by making it fun and entertaining for them to check your content. How to create value as an affiliate? Check out how VENNDY can help you add better value to your content by including easy-to-find clickable and shoppable items, sharing on social media, and enabling your audience to save for later or comment on every item. Try to only promote products you have used, loved, and are happy to stand behind. Bad reviews are also helpful, as they help build your credibility for future recommendations. How to convey transparency as an affiliate? Anything that humanizes your content and distinguishes you from a recommendation that an algorithm could have come up with is great. Share your thoughts, opinions, and preferences, suggest a combination of products which together create an experience – these all make the difference between a recommendation given by a machine and one given by a trustworthy person. If you genuinely support the item (product, place, experience, or service) and think others would benefit from it too, then share your affiliate link along with your sincere recommendation. It’s the genuine personal reason or the human aspect of your recommendation that will make people click on your affiliate link. Tell a story – how did you use the product? How did it help you achieve something? Provide insights that your readers might have not thought of for themselves –product review videos (great for gadgets, tech, and fashion), custom pictures, and images that aren’t available elsewhere and examples about how the product fits into your daily life. Tell the truth – share the good, the bad, and the ugly. Your view might be subjective, but sharing your own opinion and experience is invaluable. It might not suit everyone, but it will get through to the audience you are targeting. Give authentic, honest, open, and real reviews – people are used to reading reviews these days and can smell a sales pitch a mile away. Include both affiliated and non-affiliated items – add an article, a blog post, or a recipe with relevant information and content that can be helpful for the overall experience; share items that are clickable but do not have an affiliate link, such as places to visit or articles to read. Share the pros and cons – something you loved might not be right for someone else and vice versa, for example, a hotel you hated may not be a bad choice for someone else. Readers will appreciate your candor and are more likely to make a purchase, knowing that you’ve given them the full information and not just some half-truths. Give the appropriate disclosure required by the FTC regulations but also so in order to provide your audience with full transparency. You are a maven or an expert in your field. It doesn’t have to be your full-time job, but you have put in a lot of time and attention and have built up your knowledge and, possibly, expertise in fashion, travel, beauty, wellness, art, food, restaurants, parenting, blogging, self-development, etc. How to build your standing as an affiliate? Be an expert in your field. Share factual information backed by examples and proof. Be knowledgeable about the information you share. Share proof by using details only people who have truly experienced the item could know about, for example, photos or reviews you have uploaded to retailers’ sites where only purchasers can upload. Give numbers whenever relevant. Empiric details support an objective view, so whenever relevant try to back your review with figures. If an item you used saved you some money, then mention the percentages saved. If you’re reviewing jeans with irregular sizing, mention your regular size and which size you had to buy for the jeans to fit. Give the appropriate disclosure as required by the FTC regulations to maintain objectivity. Be open to questions and comments; it will help you better understand what your audience needs and wants. Questions and comments will become part of your content as you go forward and help you to extend your reach. How to build connections as an affiliate? Encourage a conversation – be open to other opinions, views, and suggestions. This improves authenticity and transparency and adds information that might be helpful for others. Invite interactions such as comments, clicks, loves, and shares. With VENNDY your readers will be able to comment and save specific items to their Loves and Wish List. 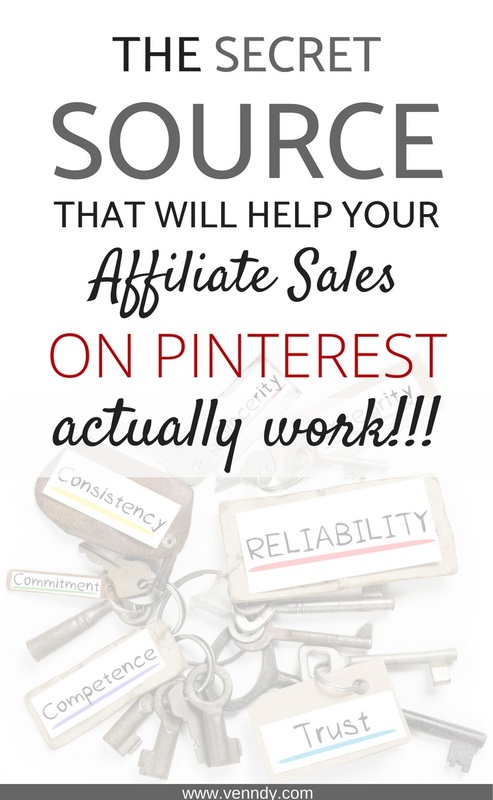 This can be great information for others and will give for your affiliate links a greater life span, as they will be saved and used for longer. Use your social media accounts to reach and engage with others. Check out our blog post on How Does VENNDY Help You Use Affiliate Marketing To Monetize? To be successful as an affiliate you need to find the right combination between content which is timeless and content which has a limited shelf life. If you are only promoting items that are occasional (seasonal sales, trending items) or often out of stock, you will need to constantly change and modify both the items and your affiliate links. For these time-sensitive products a blog post carousel can help you easily change the items incorporated and keep your content fresh and timely. Check out how VENNDY can help you do that. Evergreen content, such as hotels, restaurants, perennial fashion items, and software, is relevant for an extended period of time. But these too might require freshening up occasionally as things are always changing. Such content usually benefits from better organic search traffic, as it builds up over time and can generate steady sales for months at a time. A good approach that will help both content quality and monetization is to have strategies that balance the two: having only timeless material will diminish readers’ motivation to return to your website regularly, while having only time-sensitive information can be hard to keep up with and less attractive to some readers. In order to provide a better overall user experience and boost your monetization, we recommend that you have some of both; holiday gifts guides, top 10s, or "best of…” articles can be a great foundation for combining both using affiliate links. 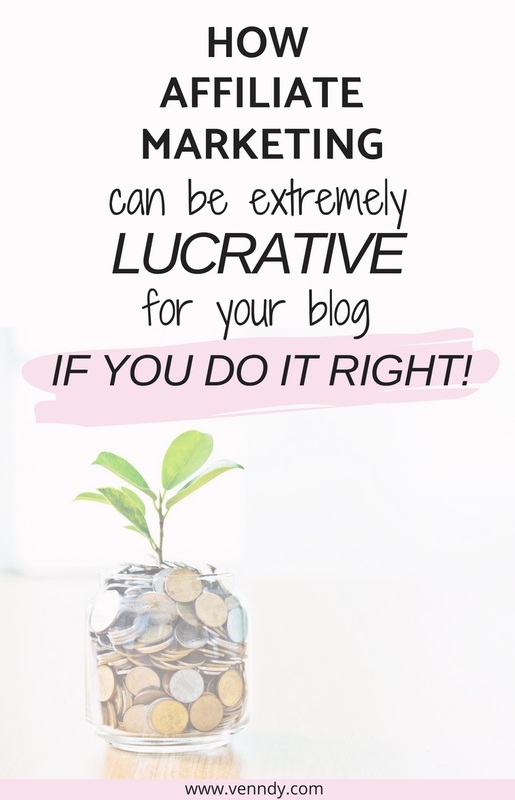 So, as you can see, there are many ways to improve your affiliate marketing strategy and it all depends on your audience and value proposition and on how you connect the two using your own individual glue, namely, your content! 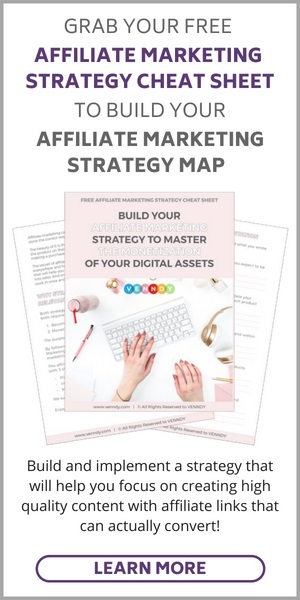 Don’t miss the other Affiliate Marketing Guides as well as How to Monetize Your Instagram Feed and How to Monetize on Pinterest and Become a Trusted Influencer.